Steam Locos:post a pic and tell us why it's your favorite. This thread is for steam locos only.....show us what you love and tell us why you love it. Re: Steam Locos:post a pic and tell us why it's your favorite. I posted a pic of a brass model of the East Broad Top's #17 earlier as my favorite engine and it still is. But......here is a pic of another EBT 2-8-2, #15. The EBT is my favorite railroad and the six little mikes they have can really put on a show. There is just something magic about being out there and witnessing them in action. Actually, #15 is the only operational mike right now and for the sake of accuray, 12, 14, 15, & 17 are the only ones out of the six that have run since the railroad shutdown normal ops in 1956. #16 and #18 are often pulled out of the roundhouse and put on display during the railroad's Fall Spectacular in October. 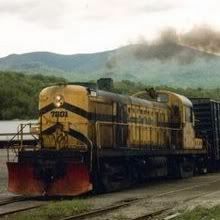 N&W is one of my fav railroads, the big Alleghenys are some truly awesome beasts.....i sure wish i could have seen them in action hauling loads up the appalachians. This is what its all about. 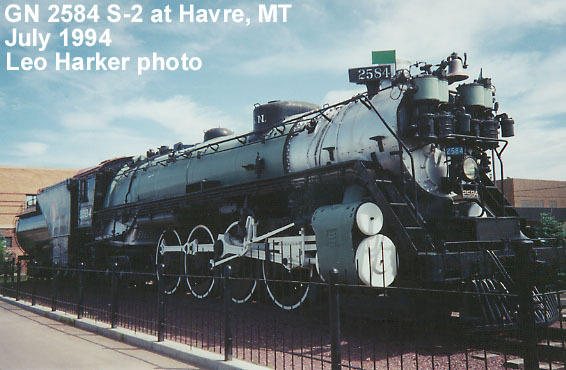 Colorado narrow guage and a living locomotive. That last message broke the rule. "Steam locomotive." BTW, the N&W locomotive is a Class Y 2-8-8-2, a modernized USRA heavy Mallet. The Allegheny is a 2-6-6-6 and ruled the C&O. The same arrangement and a generally similar boiler and appliances served the Virginian as the Blue Ridge. Just for clarity, the pic you provided of the N&W engine is not an Allegheny. It is an N&W Y class 2-8-8-2. The Alleghey was a C&O engine, with a wheel arrangement(I think) of 2-6-6-6. Many times if you mention the N&W and steam, one of their articulated engines such as the A or Y class comes to mind, but for me, my favoirte N&W engine was their 4-8-0s with the six wheeled tenders. This is a picture I've had for a while. I have no idea what railroad line it is, but it brings back memories of watching those old engines roll by many years ago. It was a natural thing to wave to the engineers and the men in the caboose and they'd always wave back too. It's a Union Pacific 4-6-6-4 Challenger. HOplasser just don't get it, do he? HOplasser, do you not understand this is a steam only thread? There was considerable ire raised on the part of Seasaltchap when photos of non steam locomotives were posted, so this thread was created. If you want to post non steam locomotive photos , use the other thread,please. I don't have a particular ''favorite'' steam locomotive, but I do find the 4-8-4's very appealing, I've seen several videos of them in action and they always seemed to be the epitomy of steam to me. The pic a couple posts above is a Big Boy. My favorite is the SP Daylight! Unless my eyes are failing me, the UP engine pictured above is a 4-6-6-4, which of course, makes it a Challenger, not a Big Boy. The second axle on the pilot truck gives the impression of a four driving axle at first glance.